Mutual funds are a trending topic these days. Many nascent investors have become aware about mutual funds from the highly promoted ‘Mutual Funds Sahi Hai’ campaign. While the campaign has done well to create awareness, before you step out into the world of mutual funds in India, it is essential to learn the basics of mutual fund investments. Thus, many of you may have a simple question on your mind, such as, what is a mutual fund? Or What are mutual funds? Or How mutual funds works? 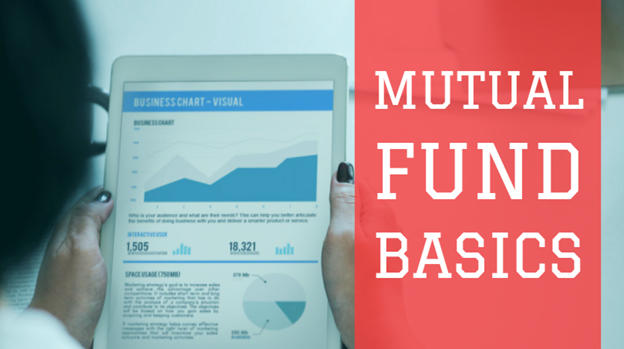 Through this mutual funds guide, you will learn the meaning of mutual funds, and all the information and details about mutual funds you need. 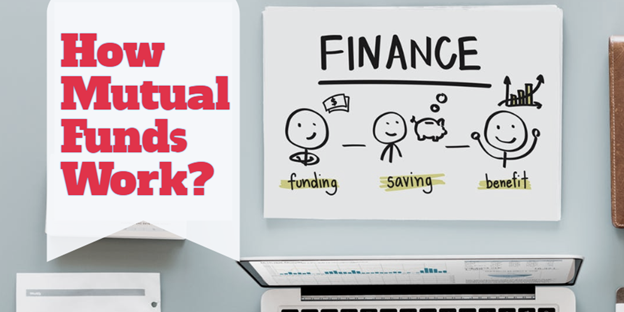 PersonalFN has put together the basics of mutual funds right from explain what mutual funds mean, to the different types, options and plans of mutual funds available. Before launching a mutual fund scheme, the Mutual Fund Company or Asset Management Company (AMCs) needs to register with the market regulator - the Securities and Exchange Board of India (SEBI). On approval from the authority, they can launch mutual fund schemes that are eligible to collect money from the public. When you buy a mutual fund, you pool your money along with other investors. You put money into a mutual fund by buying units or shares of the fund. As more people invest, the fund issues new units or shares. Investors share the profits or losses of the fund in proportion to their investments. Mutual funds normally come out with a number of schemes, which are launched from time to time with different investment objectives. Do note: Mutual funds are not guaranteed or insured by any government agency—even if you buy through a bank and the fund carries the bank's name, you can lose money investing in mutual funds. A mutual fund scheme, as the name suggests, is a shared fund that pools money from multiple investors and invests the collected corpus in shares of listed companies, government bonds, corporate bonds, short-term money-market instruments, other securities or assets, or a combination of these investments. The investments are in accordance with the investment objectives as disclosed in offer document. Therefore, an equity mutual fund scheme will invest predominantly in a portfolio of stocks, while a debt fund will invest a significant portion of its assets in bonds. A fund manager manages the investments in a mutual fund. There can be more than one fund manager, based on the discretion of the AMC. The fund manager/s manages the fund on a day-to-day basis, deciding when to buy and sell investments according to the investment objectives of the fund. The mutual fund collects money from you and other investors and allots units. This is similar to buying shares of a company. Here, the price of each mutual fund unit is known as the Net Asset Value. The assets are invested in a set of stocks or bonds that form the portfolio of the fund. The fund manager, depending on the investment objective of the scheme, decides the portfolio allocation. Let's say HDFC Mutual Fund launches a new scheme called HDFC Top 20 Fund. For sake of simplicity, let's assume the scheme collects Rs 1 crore from 100 investors who invested Rs 1 lakh each. Given that the fund house issues the units at an NAV of Rs 10, it will allot 10,000 units (Investment/NAV) to each investor. Thus, the total number of units allocated by the fund house is 10 lakh. The fund house has an objective to invest over 20 stocks. The fund manager decides to invest an equal amount in each stock. Since, the scheme has a corpus of Rs 1 crore, it will invest Rs 5 lakh in each stock. In reality, the fund manager invests a high proportion in stocks that are expected to deliver better returns over the long term. After a month, there is no change in the portfolio holding or the number of investors. The value of stocks in the portfolio grows to Rs 1.2 crore. Since the units of the fund remains unchanged at 10,000 units, the NAV of each unit is now Rs 12. For the investors, their investment would have grown to Rs 1.2 lakh (10000 units * Rs 12). Now that you have understood how mutual funds work, let's delve a little in to the different types of mutual funds. Scheme can be classified broadly as per their maturity period or tenor and then by their investment objective. Open-ended funds are available for subscription throughout the year. These funds do not have a fixed maturity. Investors have the flexibility to buy or sell any part of their investment at any time at a price linked to the fund's Net Asset Value (NAV). Several other facilities are available to open-ended funds such as Systematic Investment Plan (SIP), Systematic Transfer Plan (STP), Systematic Withdrawal Plan (SWP) etc. Close-ended funds offer a stipulated maturity period e.g. 3 years, 5 years etc. at the time of launch. These funds are open for subscription only during a specified period. Investors can invest in the scheme at the time of the new fund offer and thereafter they can buy or sell the units of the scheme on the stock exchanges where the units are listed. When the maturity period terminates, the redemption proceeds are transferred in to the account of the investors. A scheme can also be classified according to its investment objective. Some scheme may broadly have an objective to invest predominantly in equity, or debt or a mix of different asset classes. Such schemes may be open-ended or close-ended schemes as described earlier. Equity fund have an objective to generate capital appreciation over the long term. Such mutual funds normally invest a major part of their corpus in equities. Naturally, equity funds have comparatively high risks. These are suitable for high-risk profile investors who have an investment horizon of 5 years or more. Equity mutual funds are most suitable for long-term goals such as retirement. Equity mutual funds can be further classified as large-cap funds, multi-cap funds, mid-cap funds, ELSS funds etc. Investors may choose an option depending on their preferences and investment needs. Debt funds have an investment objective to provide regular and steady income to investors. Such schemes invest in fixed income securities such as bonds, corporate debentures, Government securities, and money market instruments. Though debt funds are less risky compared to equity schemes, the return potential too, is lower. Debt mutual funds are suitable for low-to-moderate risk profile investors. These funds are ideal for short-term investment goals ranging from a few days to as many as three year or more. Based on where debt funds invest, such as overnight securities, money market instrument, corporate bonds, government securities etc. and the average duration of the bonds in their portfolio, the funds can be further classified as Liquid Funds, Short Duration Funds etc. PersonalFN has a long track record of offering unbiased mutual fund research services. It analyses thousands of data points to shortlist schemes and applies a whole host of qualitative parameters to select only a handful schemes for your portfolio. Every month, our FundSelect service will provide you with an insightful and practical guidance on which mutual fund schemes (Equity-oriented and Debt) to buy, hold or sell, which will assist in creating the ultimate portfolio that has the potential to beat the market. And there’s more great news! And on this auspicious 15th anniversary of FundSelect, we intend to make it “ultra-special” for you. Well, how about getting 1 Year of access to FundSelect virtually Free? Check out the exciting offers that can be availed on subscriptions to FundSelect here. Go ahead and subscribe to PersonalFN’s FundSelect NOW! Hybrid funds as the name suggests, invest in a mix of equity and debt instruments. These mutual fund schemes aim to provide investors the best of both worlds – capital appreciation of equity assets and the regular income of debt securities. These are ideal for investors seeking moderate risk, without exposing their investment to a high equity allocation. The risk or volatility of these funds lies in between equity mutual funds and debt mutual funds. Depending on their exposure to equity, these funds can be further classified in to Conservative Hybrid Funds, Aggressive Hybrid Funds, Balanced Funds, Dynamic Funds etc. Do read: Aggressive Hybrid Fund or Balanced Advantage Fund, Which Is A Better Option? Investors may seek to invest specifically towards goals such as retirement or securing their child's future. Hence, solution oriented fund assist investors in planning towards such specific goals and are classified as Retirement Fund and Children's Fund. These funds come will a lock-in period of 5 years. These funds seek to have a position that replicates the index, say S&P BSE Sensex or NSE Nifty 50. They maintain an investment portfolio that replicates the composition of the chosen index, thus following a passive style of investing. Due to their passive management style, index funds have a lower expense ratio. Exchange Traded Funds (ETFs) are open-ended funds that are traded on the exchange. Like index funds, ETFs too mimic the composition of a chosen index. Unlike an index fund where the units are traded at the day's NAV, in ETFs (since they are traded on the exchange) its price keeps on changing during the trading hours of the exchange. 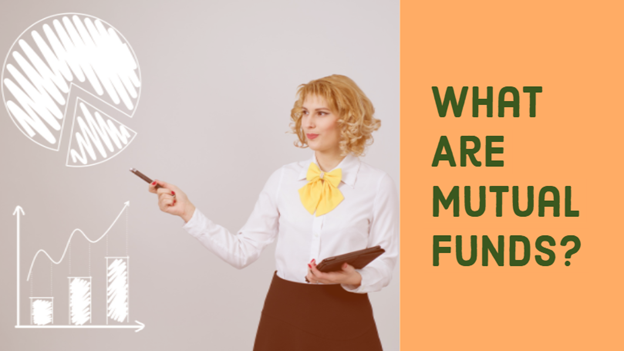 As the name suggests, fund-of-funds invest their money in other funds of the same mutual fund house or other mutual fund houses. They are not allowed to invest in any other fund-of-fund scheme and they are not entitled to invest their assets other than in mutual fund schemes/funds, except to such an extent where the fund requires liquidity to meet its redemption requirements, as disclosed in the offer document or the fund of fund scheme. Mutual Funds offer many options such as dividend payout, dividend re-investment, growth and bonus, under mutual fund schemes, many of you aren't even aware how each of these options work, and which is the most suitable option for you. It is imperative that before you signify your choice of option, you are aware what they mean and how they function. Dividend payout option – This option proposes to timely pay distributable surplus / profits to you in the form of dividends (either through cheques or ECS (Electronic Clearing Service) credits), thereby facilitating you to liquidate profits.On AMFI, you can check historical mutual fund scheme dividends here. Dividend re-investment option – Under this option instead of paying dividend cheques or providing ECS credits, the dividend amount declared by a mutual fund scheme, goes in buying additional units of the same scheme (where you are invested), and you continue to book profits and keeps re-investing them in the same scheme. 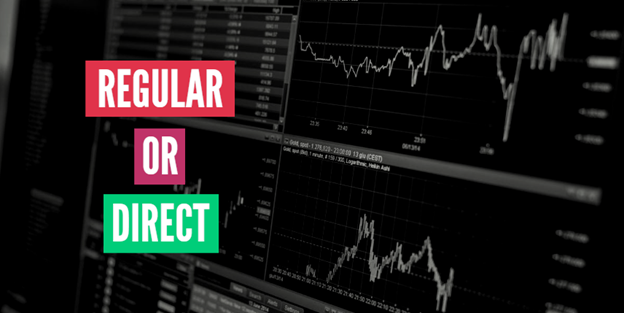 Growth option – Under this option, you do not receive any dividends. Instead continue to enjoy compounded growth in value of your mutual fund scheme, subject to the investment bets taken by the fund manager. Bonus option – Under bonus option you are not paid regular dividends. Instead you continue to receive bonus units in accordance to a ratio declared by the fund house. (Very few mutual fund houses have this option). To know which option to choose, do read - Dividend option or growth option - Which is better? When you invest in mutual funds you have broadly two plans: Regular Plan and Direct Plan. The latter was introduced by the regulator a few years ago. Regular Plan — This is the conventional kind of plan, where you invest/transact through your mutual fund distributor such as banks, stock brokers or other individual or corporate fund distributors. As the distributor helps in selling mutual funds schemes and servicing you as a client, they earn a commission. Indirectly, the commission is paid by the fund house on the money you invest in the regular plan. Hence, due to the distribution cost involved, you incur a higher fee or expenses ratio in a regular plan. AMFI discloses the annual commission earned by distributors here. Direct Plan — By opting for the Direct Plan, you eliminate the services of a mutual fund distributor. Hence, the expense ratio for a Direct Plan is lower compared to Regular Plan. But you need to do your own research or rely on mutual fund research reports to invest. The transactions can be performed online or even physically by visiting the registrar's or the asset management company's office. And since, transactions are routed directly; no commissions are paid by the fund house on the money you invest. Which is a better option? Read here - Mutual Fund Regular Plan Or Direct Plan: Which to choose?